Transients, lightning, and surges appearing on the AC power lines can damage or destroy downstream equipment. Vulnerable circuitry exists in an extremely hostile environment. 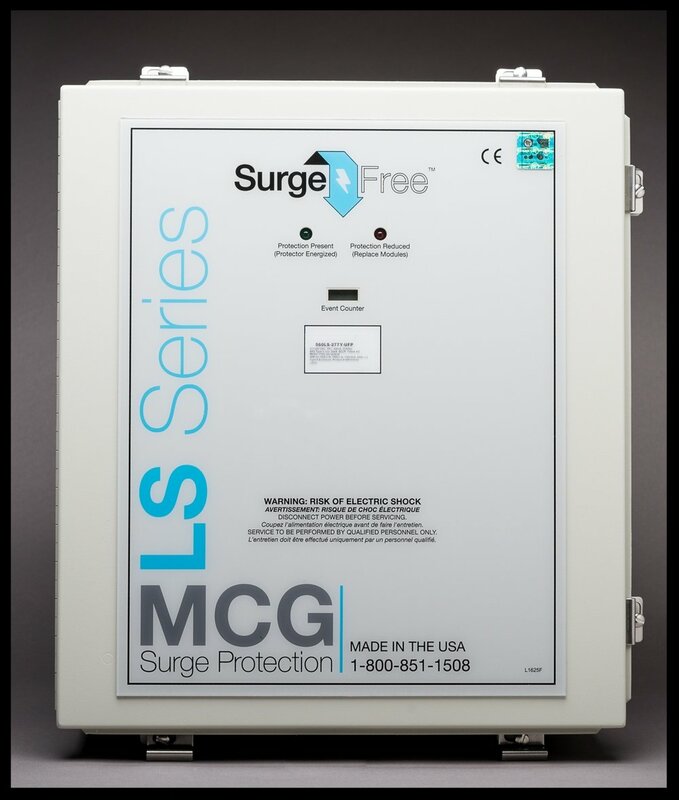 MCG's AC power line surge protectors are capable of protecting a wide range of applications. Transients, lightning, and surges appearing on the AC power lines can damage or destroy downstream equipment. Vulnerable circuitry exists in an extremely hostile environment. A properly applied surge protector can prevent equipment damage, downtime, and data corruption. 560LS EXECUTIVE - Building Entry SPD - 560,000 Amps per phase 8x20µs. 560LS - Building Entry SPD - 560,000 Amps per phase 8x20µs. 400LS EXECUTIVE - Building Entry SPD - 400,000 Amps per phase 8x20µs. 400LS - Building Entry SPD - 400,000 Amps per phase 8x20µs. 300LS - Building Entry SPD - 300,000 Amps per phase 8x20µs. 300LS EXECUTIVE - Building Entry SPD - 300,000 Amps per phase 8x20µs. 200LS EXECUTIVE - Building Entry SPD - 200,000 Amps per phase 8x20µs. 200LS - Building Entry SPD - 200,000 Amps per Phase 8x20µs. PT250 - Building Entry SPD - 250,000 Amps per phase 8x20µs. PT160 - Building Entry SPD - 160,000 Amps per phase 8x20µs. PT160D - Building Entry SPD - 160,000 Amps per phase 8x20µs. 160M - Building Entry SPD - 160,000 Amps per phase 8x20µs. 150M - Building Entry SPD- 150,00 Amps per phase 8x20µs. 120LS EXECUTIVE - Building Entry SPD - 120,000 Amps per phase 8x20µs. 120LS - Mid-Building Entry SPD - 120,000 Amps per phase 8x20µs. 120M - Mid-Building SPD - 120,000 Amps per phase 8x20µs. 125M - Building Entry SPD - 120,000 Amps per phase 8x20µs. PT120 - Mid-Building Entry SPD -120,000 Amps per phase 8x20µs. 90M - Local Panel SPD - 80,000 Amps per phase 8x20µs. PT80 - Local Panel SPD - 80,000 Amps per phase 8x20µs. PT40 - Local Panel SPD - 40,000 Amps per phase 8x20µs. PT80-BB - Local Panel SPD - 80,000 Amps per phase 8x20µs. PT40-BB - Local Panel SPD - 40,000 Amps per phase 8x20µs. 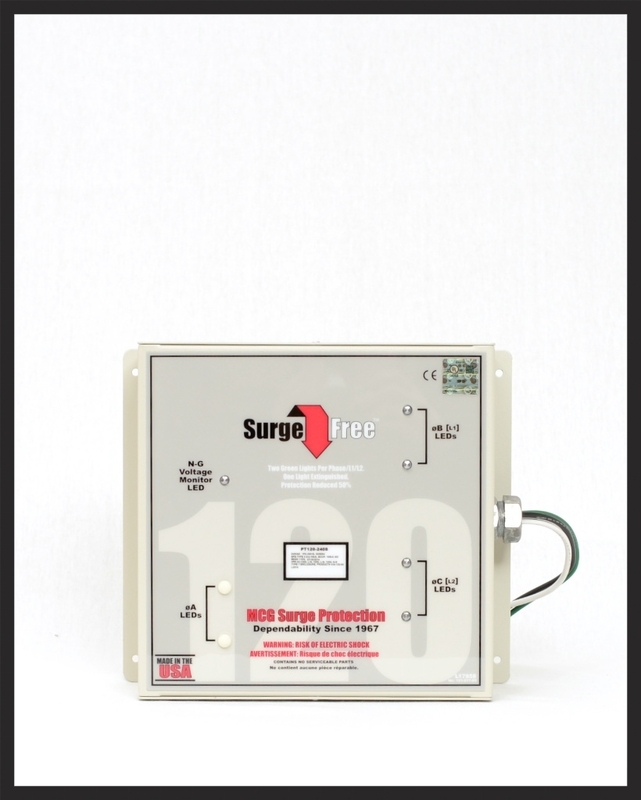 530P - Local Panel / OEM Protector - 60-100kA Total Surge Current, 8x20µs. CCP Series - up to 40,000 Amps per mode, 8x20µs. 400 Series - (405, 415, 416, 417) - 10,000 Amps per phase 8x20µs.